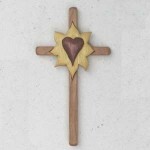 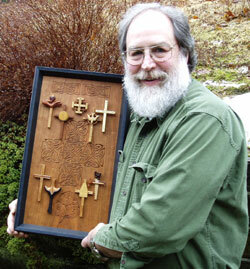 This Cross was designed to honor a person’s Confirmation. 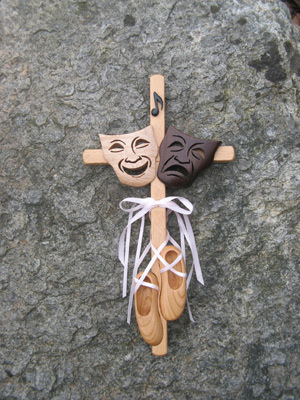 The Cross included three gifts: the note of a beautiful voice, the masks of the theater and the ballet slippers of dance. 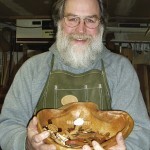 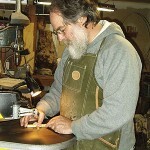 The piece is about 12 inches using cherry, birch, ebony, maple and walnut.